Have you been thinking about buying an INFINITI sedan in Marrero, LA? It can be hard to decide if that’s the best option for your daily driving needs. But by learning more about this kind of vehicle, you can decide whether it’s right for you. Here are some of the top benefits of a sedan from the INFINITI line. If these are things you want out of a car, you will love an INFINITI sedan. Some people in Marrero, LA, have huge families. Others barely need any room in their cars at all. But most people need something in between a very large and a very small vehicle. If that’s where you fall, a sedan is your best option. You will have a back seat that passengers can ride in, but you won’t have a ton of extra room you don’t need. That makes sedans perfect for a wide range of drivers out on the road. These days, people are starting to care more and more about the environment and making sure they reduce their carbon footprints. You can join in too if you purchase an INFINITI sedan. See, sedans are smaller vehicles, which means that they generally need less gas to run. Therefore, you can go farther without having to fill up your tank. And this isn’t just good for the environment – it’s great for your wallet too. When you fill up your tank less, you spend less money on gas, and that’s something everyone wants. Safety is, of course, the most important factor you should take into consideration when you are deciding which vehicle to purchase from a Marrero, LA, dealership. INFINITI sedans regularly get amazing ratings when it comes to car safety tests, so you can feel good on the road no matter where you’re going. This is important for everyone who drives, but it’s especially important if you are a parent or drive kids around frequently. You don’t want an injury to happen in case of an accident, after all. With all of these benefits, aren’t you ready to buy an INFINITI sedan? 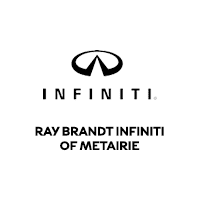 Come on out to Ray Brandt INFINITI to take a look at our selection of vehicles. Whether you want a sedan, an SUV, or something else entirely, we’ll be able to get you into the right ride.